We have been giving new impetus to the development and production of sustainable and innovative machine technology for more than 45 years. 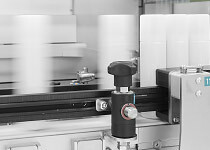 Today, pester pac automation ranks among the world’s leading companies in this sector. Renowned pharmaceutical and cosmetics companies all over the world appreciate the high quality of our machine program. The creative potential of our employees and our unique corporate culture are the basis of our success. Honored with the Great Place to Work award “Best Company to Work For” in 2015, we are one of Germany’s top 100 employers. Join us to create the future of our company, discover what sets us apart and find out what our employees have to offer. Pester is an independent family-owned company in the 4th generation. Within 130 years we have advanced from a trade workshop to an international corporation. Our employees are creating our success every day. This is the reason why we are committed to making our employees enjoy working here. Our employees’ commitment, team spirit and talent are the key to the success of our company. More than 700 employees around the globe are all dedicated to optimizing our customers’ packaging processes. Our bond is strengthened by trust, respect, pride and team spirit. The results can be seen and felt: our workplace culture focusses on helping our employees to enjoy their work and develop their abilities constantly. "The strong corporate relationship is what motivates me enormously when managing demanding customer projects." "At Pester, passion for machine engineering goes hand in hand with a positive and respectful corporate culture. That's what makes it so exceptional working here." "Special machine engineering often requires fast and creative solutions. Here at Pester, it's the good working atmosphere that makes the difference. Supportive colleagues in all sectors resolve the tasks as a team." The people are the focus of our attention. Our corporate culture is characterized by mutual respect and cooperation. Respect, tolerance and fairness in conjunction with openness and teamwork are key principles of our personnel work. Whoever works at Pester becomes part of our global family from the very beginning. Each individual contributes decisively and visibly to our success. We are proud to rank among Germany’s top 100 employers. Some 92% of our employees recommend us as an attractive employer, just going to show how strongly they identify with our company. In 2015, we received the “Germany’s Best Employer” award from the Great Place to Work Institute in Berlin and now rate among the nation’s top 100 employers. In September 2014, we were awarded “Best Employer in Allgäu 2014” by Great Place to Work and “Best Employer in Bavaria” at the beginning of 2015. As a growing, internationally oriented and modern engineering company, we offer anyone who has a passion for new challenges interesting opportunities for their personal and professional development. Are you committed to innovation and new technologies, just as we are? Experience the dynamics and spirit of a family-run enterprise in a highly innovative sector. Let us grow together! Our employees’ health is our primary focus. Several health initiatives, from fitness measures, sport programs and our own fitness studio to regular health days, all help to promote the fitness of our company members. The healthy nutrition available in our company canteen provides for a balanced diet. Our employees’ individual development and healthy work-life balance are very important to us. That’s why we offer over 50 flexible work time models, from part-time to home office workplaces, to suit any life situation. Cooperation with the local kindergarten and monetary grants for the childcare there help young parents throughout the first few years. We inspire our employees and promote their strengths by offering individual opportunities for advancement and development, comprehensive advanced training possibilities, working in international teams and respectful, team-oriented workplace culture. Our headquarters are located at the town of Wolfertschwenden in the heart of the picturesque Bavarian region of Allgäu. What makes the Allgäu so attractive is its inspiring mixture of culture and nature, sport and recreation, historical and scenic landscape. Over recent decades, the region has seen a huge development as a significant industrial location for renowned companies. Enjoying work is just as important as the ability to be creative. That’s why Pester attaches prime importance to the design of its working world. The unique architecture of our headquarters influences the modern work environment at Pester and is characterized by the ample light and open space behind generous window facades. Attractive, high-quality materials are reflected in the modern production halls and office facilities. A cafeteria and open communication zones and cubicles are the optimum areas for colleagues to hold informal and interdepartmental talks. All workplaces excel through their ergonomical design. Drinking water dispensers are available to our employees free of charge throughout the entire building. In the mornings and at lunchtime our kitchen team provides for a balanced and varied regional diet in the modern atmosphere of our canteen. Be inspired!